The skin is a barrier. Products applied topically have limited benefit. The skin’s stratum corneum is a formidable barrier. It protects the body from toxins. Absorption of ingredients applied to the skin is extremely limited because ingredients must pass through the skin’s pores, and these pores account for less than 1% of the skin’s surface. Most substances (even those smaller than 40 nanometers) are unable to penetrate the skin. Even if they do, it is extremely unlikely that these chemicals will reach the circulation at therapeutic levels. 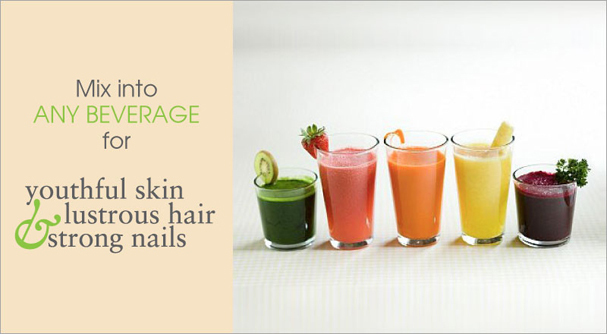 The same is true for products applied topically to the hair and nails. Even the best topical creams, lotions, polishes and conditioners rarely get absorbed. They generally tend to cover-up damage rather than correct it; and, they stop working when they are washed off. 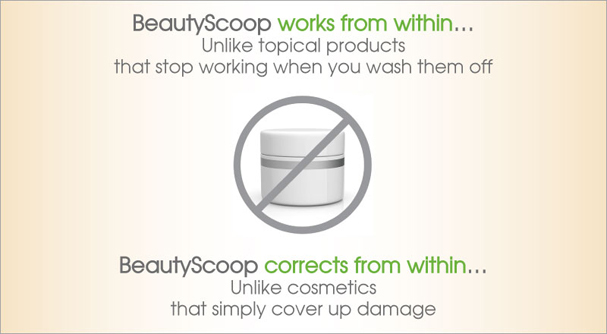 BeautyScoop® is different. 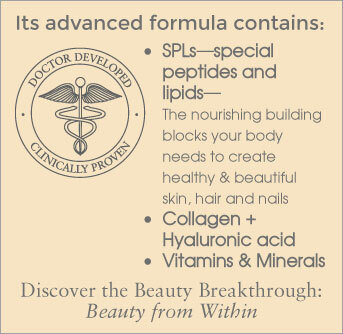 Here’s how it works: It is absorbed quickly from within and continues to work for rapid, long-lasting results. 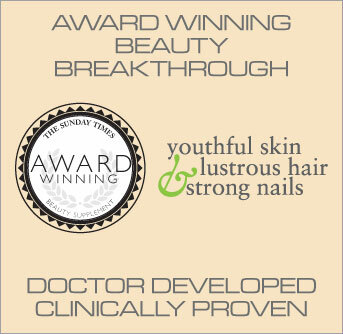 Doctor-developed, patented and clinically proven, BeautyScoop® is a breakthrough nutritional beauty supplement that contains special peptides and lipids, the nourishing building blocks necessary to create more perfect skin, hair and nails. Reinforced with collagen and hyaluronic acid for superior hydration and vigor, BeautyScoop® is the gold standard in a comprehensive skin, hair, and nail care regimen. Deep absorption means profound results. In the category of beauty from within, not all products are equally effective. 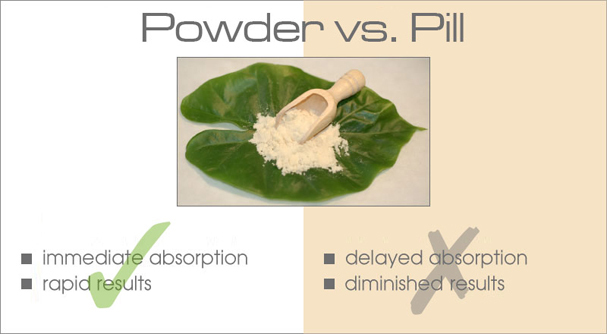 Bars and pills have delayed absorption because their active ingredients are surrounded by fillers and binders that must first be digested prior to being absorbed. 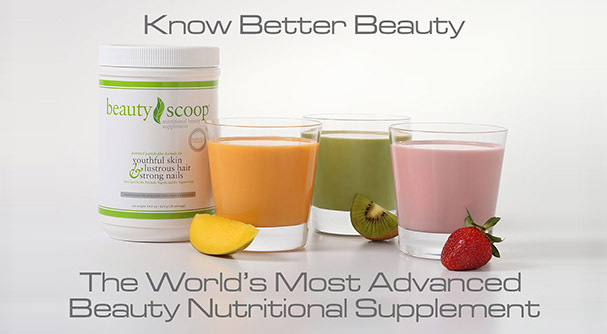 BeautyScoop® has the competitive advantage. 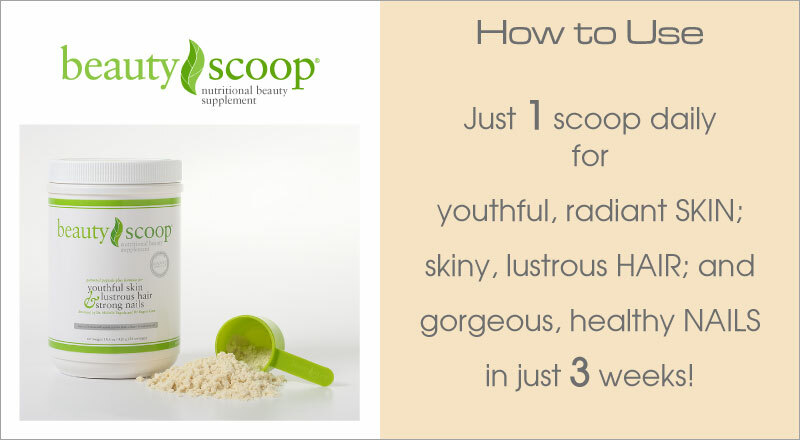 Its pure powder formula provides immediate absorption and significant, visible results in just three weeks! That’s how it works! Yes! Everyone understands the need to supplement a diet that is deficient. But, inadequate absorption of peptides and lipids even from healthy, balanced diets may result in visible problems in the skin, hair, and nails. Nutritional supplementation has been documented to help. 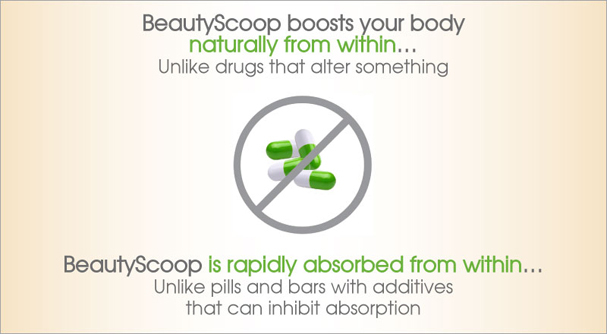 Based in nature and backed by science — ten years of double-blind, placebo-controlled, independent research– BeautyScoop® is a powerful, proven and peerless nutritional beauty supplement!